I actually made these by accident. I am short. Just 5′ 2″ tall and most shelves are above my head. I was going for cinnamon that I’d recently ground and right next to it was a chili powder mixture that I’d also just ground up and the whole little jar fell into the bowl of flour that was on the counter beneath. 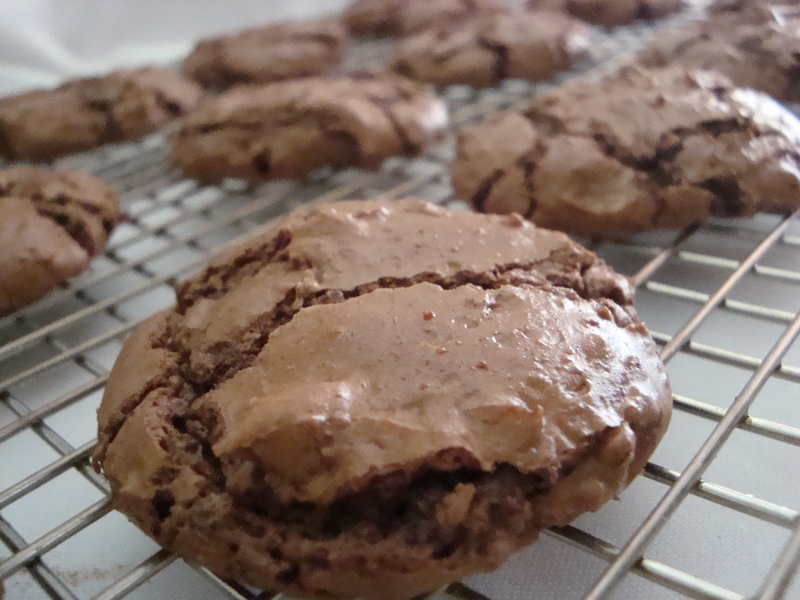 I tried scooping out as much of the Chili powder as possible and finally gave up and decided to make my cookies. I added nutmeg and brown sugar to try to counter act the Chili. It turned out amazing and since then I’ve played with the proportions a little to come up with this amazing cookie. It’s got a little hint of the Chili so everyone eating will ask you “What did you put in these cookies?”. You’ll love how it tastes, I promise. It’s got chocolate in the batter and in chunks, how can it go wrong?? I used Chocolate chips and Chocolate baking squares. I used the chips for melting and the baking squares for making chocolate chunks to put into the cookie for a better texture. 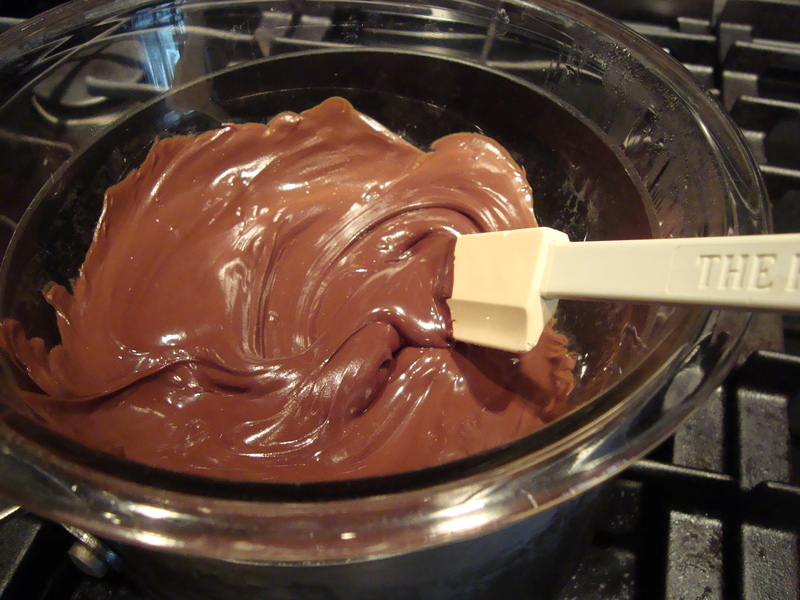 Melt the chocolate chips on a double boiler. It’s just a heat safe bowl over a pan with some simmering water. This way the chocolate melts smoothly without getting burnt or dried out. Cream the butter, sugars, eggs and vanilla extract together and add the melted chocolate mixture to the batter. Add the dry ingredients (all mixed together) a little at a time until well blended. Add the chocolate chunks by hand. 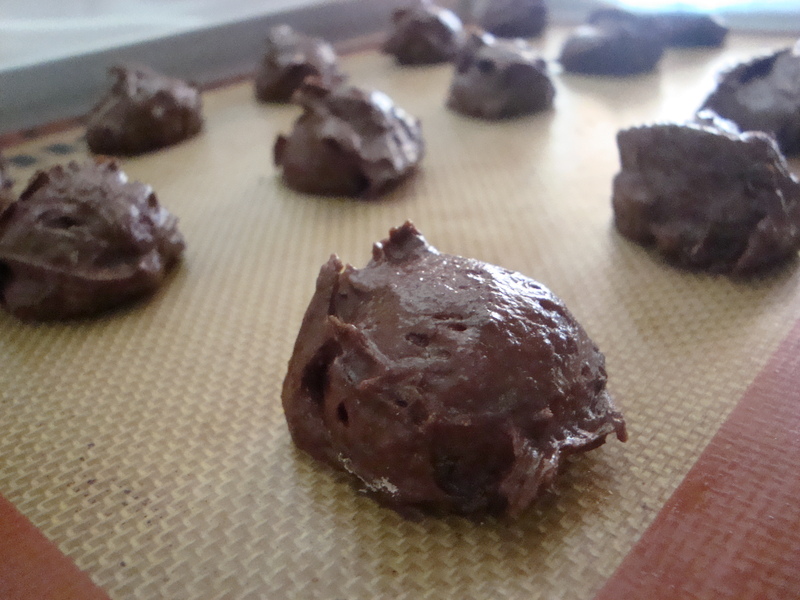 Drop by rounded tablespoons (or a scoop if you have it) on a parchment or Silpat lined baking sheet. Bake for 10 minutes at 375 degrees. Cool cookies on a cooling rack before devouring them with some nice cold milk! This is where the milk mustache comes in handy! In a heat safe bowl, place 8 oz of chocolate chips and put the bowl over a pan with simmering water on the stove. Make sure the water does not touch the bottom of the bowl. 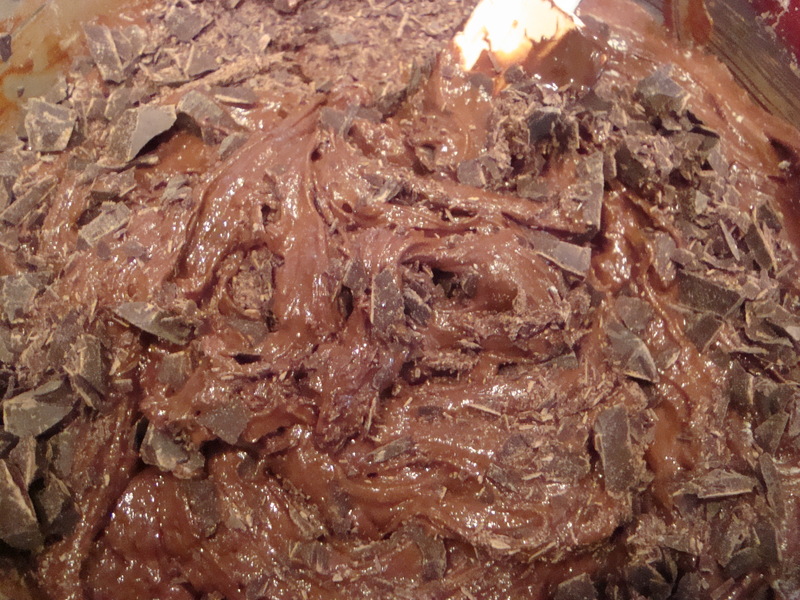 Slowly stir the chocolate until it is melted. Turn off the heat. 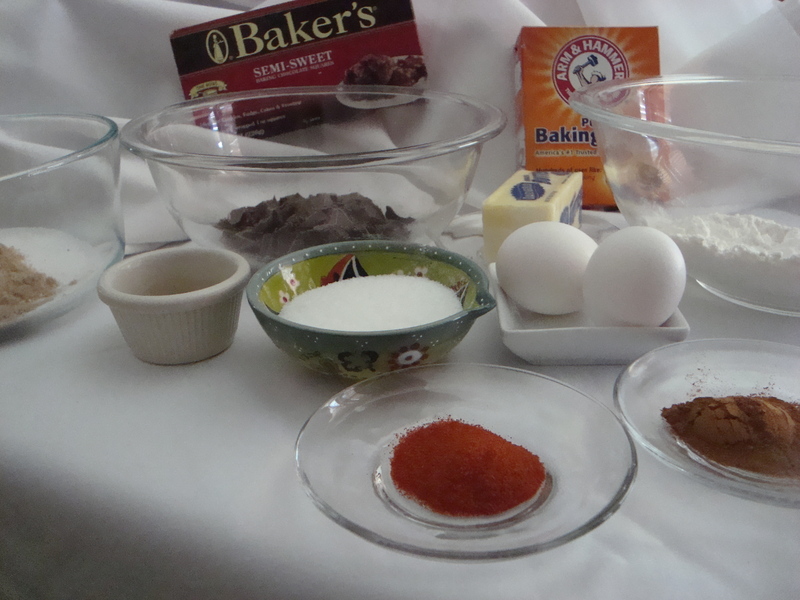 In a separate bowl mix together flour, Cinnamon, Nutmeg, Chili, salt, baking soda and powder, set aside. Using an electric hand mixer, cream together butter, both kinds of sugar and vanilla extract, slowly add in the eggs until the whole mixture is smooth. Mix in melted chocolate until well blended. 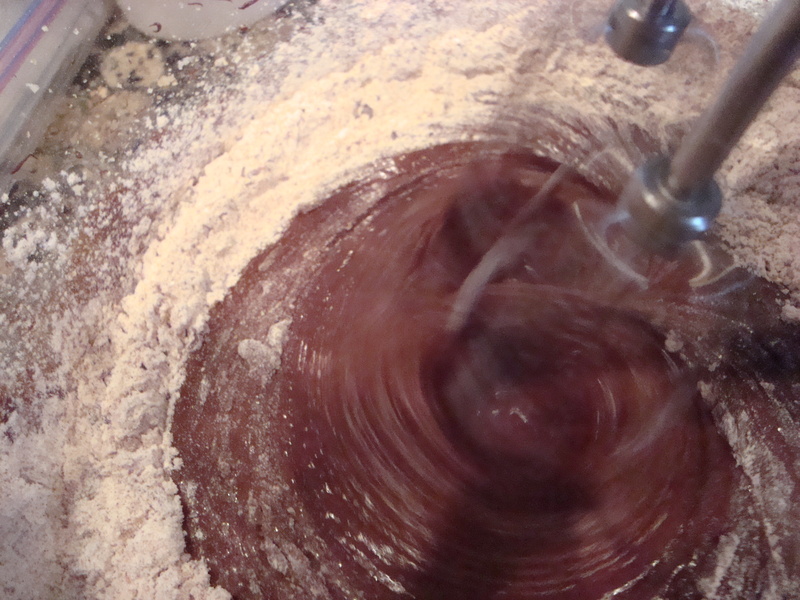 Gradually mix in flour mixture a little at a time until fully incorporated. 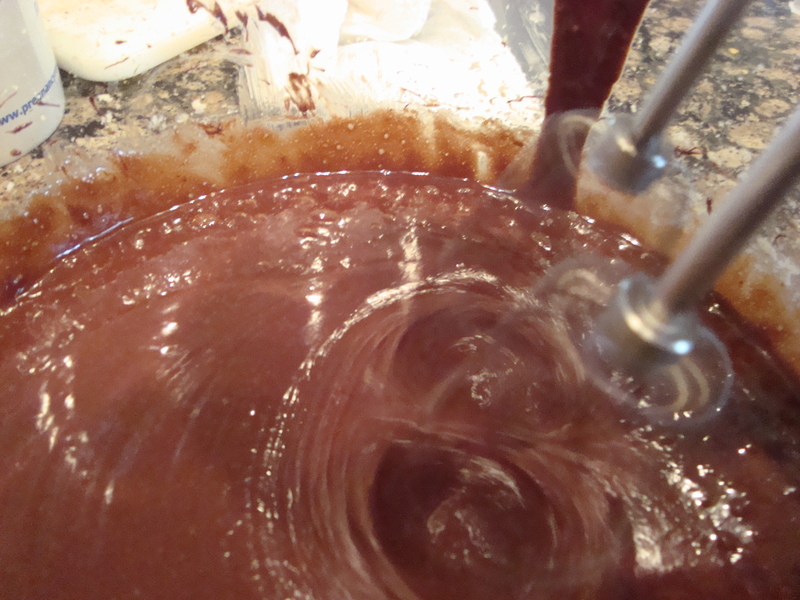 Using a rubber spatula gently mix in chunked semi sweet chocolate pieces. Using a small scoop or two tablespoons drop cookie dough about 1 ½ inch apart on a cookie sheet lined with Silpat or parchment paper. Bake for 10 minutes at 375 degrees. Transfer cookies onto cooling rack and enjoy with a glass of cold milk!! Makes approximately 36 to 38 cookies.